Automatic Elevating Tailgates | Maxter Mining Products Ltd. 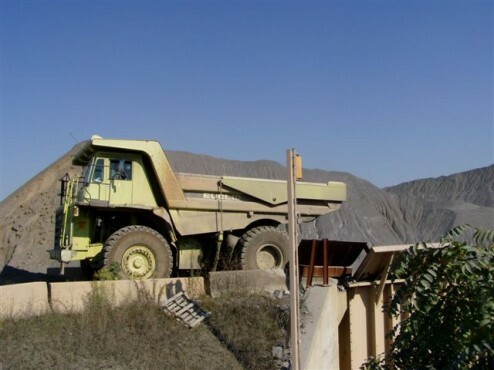 Since 1970, numerous Maxter automatic elevating tailgates have been put into service, ranging from 25 ton articulated vehicles through the largest off highway vehicles built. 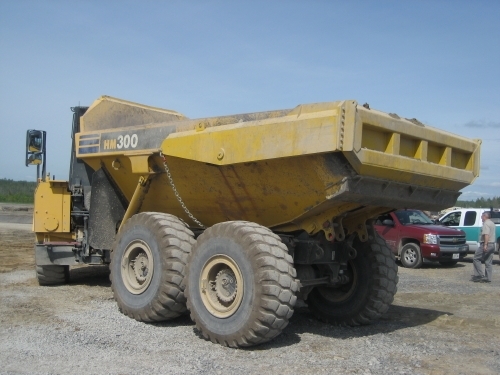 There is much value in adding automatic elevating tailgates to off-highway hauling units. Our tailgates reduce cost per ton and pay for themselves many times over. Preventing spillage adds multiple benefits to an operation: saving the cost associated with cleaning up the spillage and avoiding potential vehicle tire damage. Many hauling operations require uphill grades with loaded hauling units. 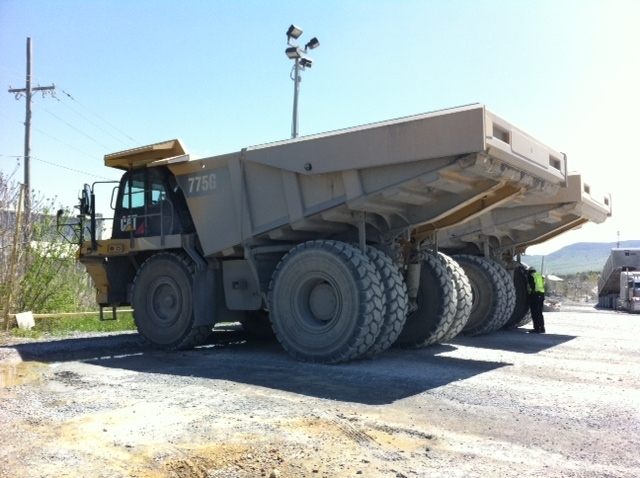 A Maxter automatic tailgate closes in the rear of the hauling unit body so that the load stays contained within the body, therefore reducing spillage onto the haul road, which affects the entire operation from haul road maintenance and repair cost to lost production. 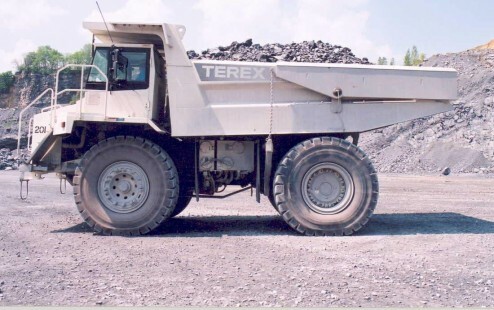 Most off-road hauling units are designed to carry 1/3 of the load on the front axle and 2/3 on the rear axle. 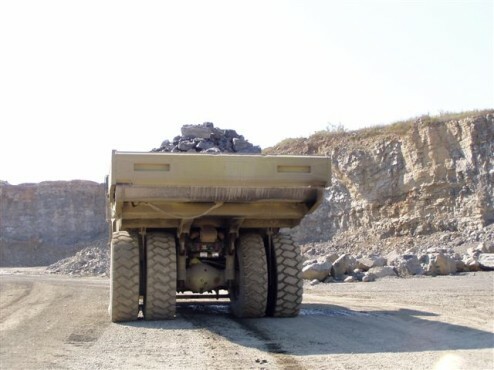 With an open ended rear body, it is common for loader operators to place more of the load forward to try and reduce spillage, leading to the front axle carrying load above its designed capacity and to a potential long term negative affect on productivity. This uneven load distribution causes more wear on front tires, undue stress on hydraulics (having to lift more of the load to empty the body at the dump site) and frame components. The Maxter tailgate enables the hauler to carry the weight distributed properly thus avoiding premature maintenance costs. In addition, the closed-off body becomes a better target for the loader. 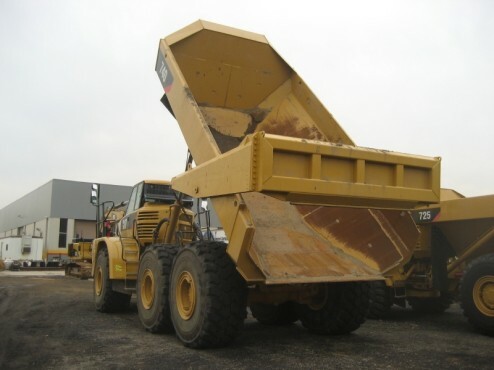 The loader operator takes less time to position the loading tool and placement of the load to achieve proper load distribution. By closing the rear of the body, the Maxter tailgate allows the load to make the most of the entire length of the body. The rear slope line of the load starts at the tailgate rather than further forward on the body thereby increasing potential capacity. A full load can be transported without risking spillage or uneven load distribution. Increasing tire life is twofold. As mentioned earlier, overloading of the front axle and front tire lowers tire life. When a tire is overloaded, excessive heat can build up causing a degradation of the tire components and potentially premature tire failure. 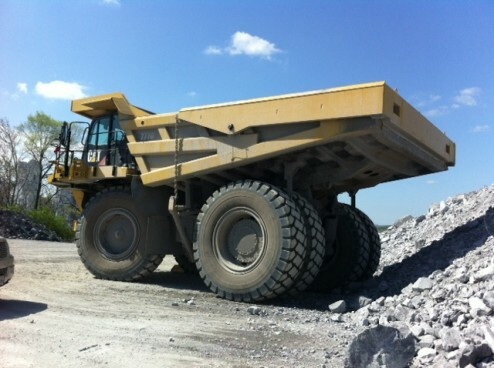 In addition, an overloaded tire is more easily damaged externally as well as internally when running over spillage from another truck on a pervious run. 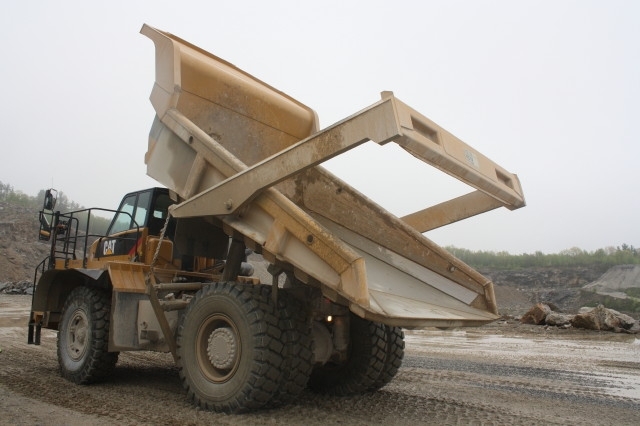 The combination of a reduction in spillage, improved weight distribution, and prolonged tire life significantly reduces haul road maintenance and ultimately cost per ton. 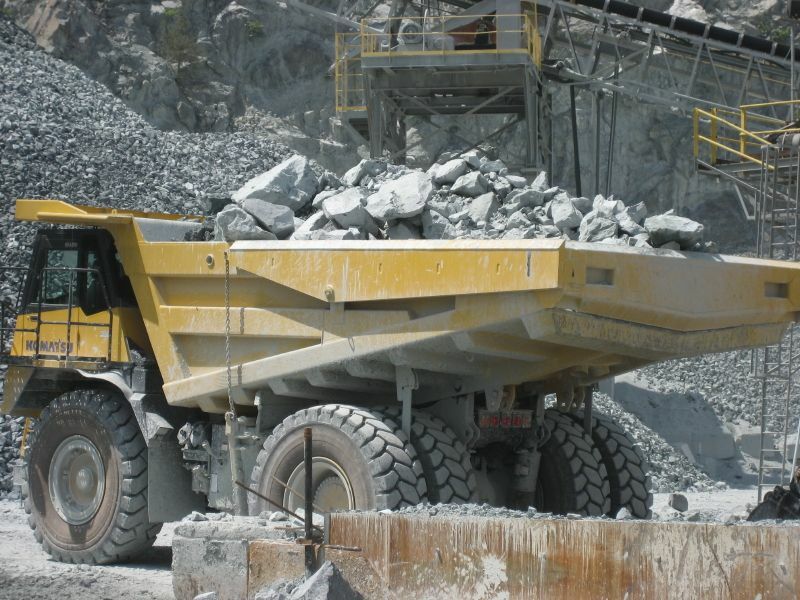 The support equipment and man hours along with associated expenses of fuel and maintenance can be reduced considerably instead of adding costs to the operation. The ultimate goal of this wear resistant and low maintenance tailgate is to reduce your costs and increase your productivity. Our rugged, reliable and proven design has been in operation for decades. The nature of our automatic elevating design does not require the need for additional hydraulics. Maxter tailgates are available for most makes and models from the smallest articulated trucks up to some of the largest rigid frame models in the construction and mining industry. We can also custom design our tailgates to meet your requirements. For more information, please e-mail or give us a call.